Investing with a 360-degree approach is the logo design implication for this company, with the compass symbol and encircled arrow above the company name. 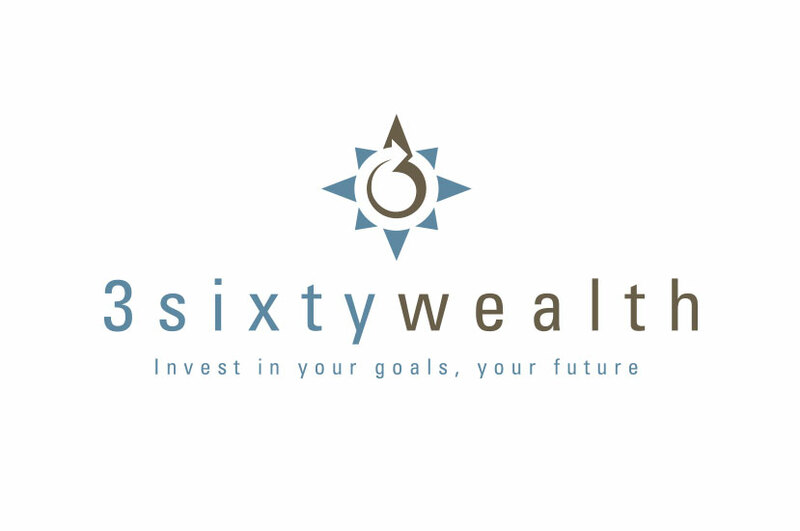 The 3 Sixty Wealth logo incorporates modern, simplistic pattern designs that are aesthetically pleasing and eye-catching to the viewer. The muted blue and brown color palette gives this logo a cool feeling, which contrasts nicely with the symbolism of the sun – something normally associated with heat. This unexpected color choice paired with the illustration makes a fresh, new logo for this company, whose professionalism and polished business needed a logo to match.